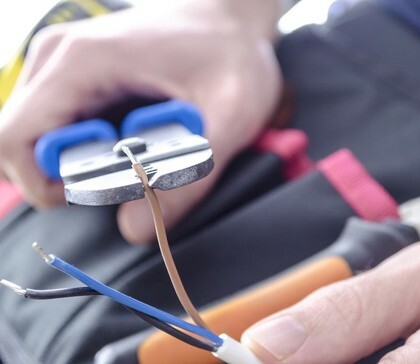 Our professional commercial electricians perform any and all aspects of electrical projects; including power, lighting, data, telephone, fire alarm and security systems. From accent lighting to outdoor decorative light fixtures, and all lighting needs in-between; Accel Electric has an affordable solution for you. Accel Electric – We’ve been serving Phoenix businesses and homeowners just like you for over 15 years here in the valley. 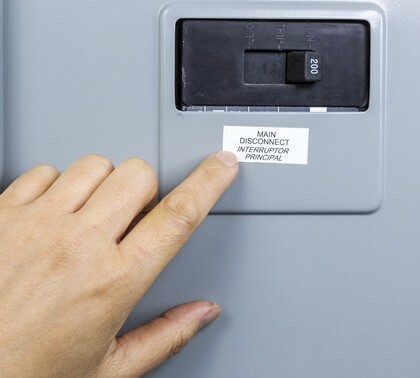 We specialize in commercial and residential electrical services. Our phoenix electricians focus is on the needs and the concerns of the client. For that reason you can expect that we will work around your schedule as much as possible. We work evenings and weekends and we have a first call that is guaranteed on time. If you have an emergency that threatens property damage we’ll be there within one hour. If you need electrical service today, we can be there today. We’ll be friendly when you call and you will get a live person during our extended business hours. We spend a lot of effort to recruit and hire the most qualified, respectful electricians. All of our employees must pass drug screens and background checks before getting hired. We will give you an up front price for the work and get your approval first, so you can relax and go about your business. We give you control over what you spend today. We will guarantee our work, no games just a solid guarantee. If we make a mistake, we’ll fix it. Period. When we are done, we will follow up with you to make sure we did a sound job and we will ask you to give us feedback on our performance. Our Mission at Accel Electric, Inc. is to provide our customers with the highest quality electrical service in Phoenix. We pride ourselves on the ability to respond quickly to our customers. Accel Electric is always updating and continuing the education of not only its technicians, but also the entire staff! Accel Electric offers fully stocked service vehicles to provide an efficient work environment. We keep our trucks organized so they are ready for any job big or small. Most of our parts are kept in stock, so that minimal time is lost to get the job done. older parts or discontinued parts do appear now and then, we have over 5,000 sources for those hard to find parts. Our team can provide options with solutions to any challenge!